I make the poppers out of dark foam. 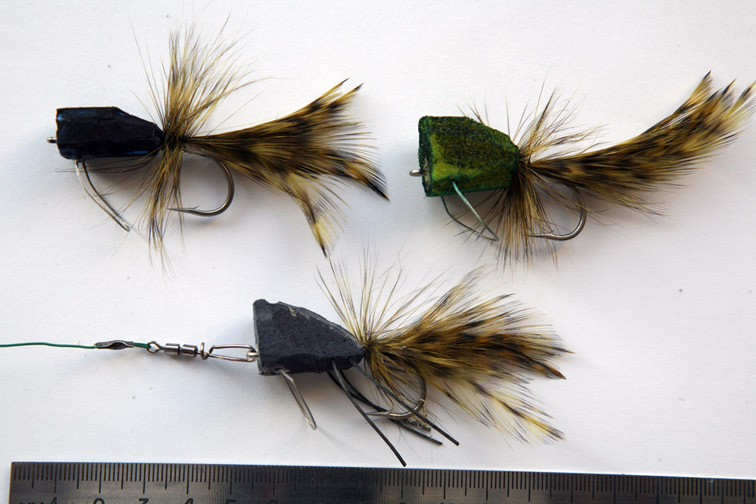 I use them mostly with a steel tippet. 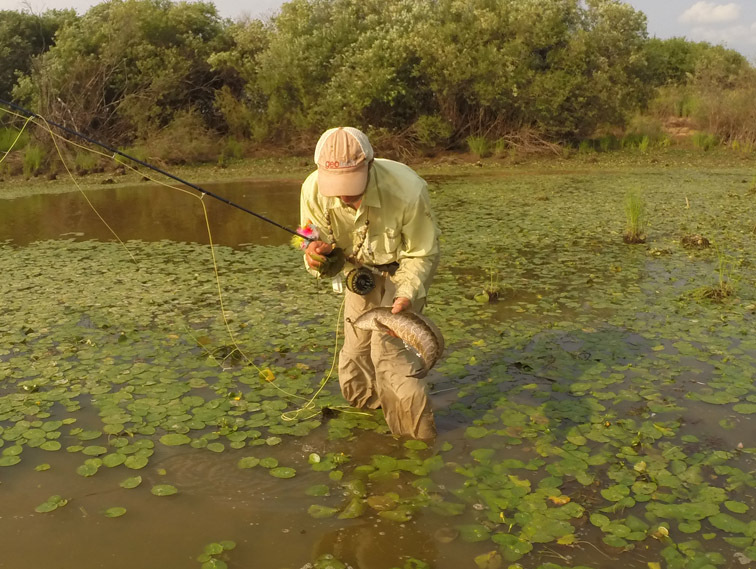 These flies often catch pike; snakehead’s teeth are also very sharp.. 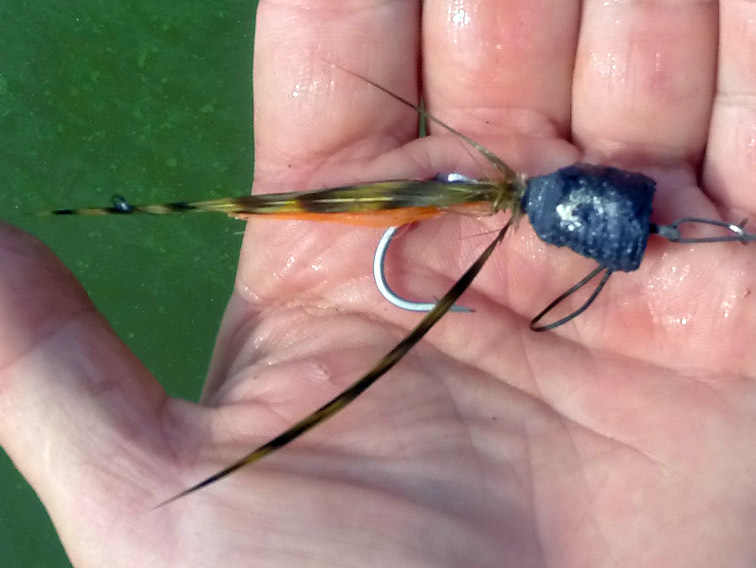 This popper is shot during the fishing: the hackle is starting to unravel. The hook-guard is made out of 25 pound test steel tippet material.